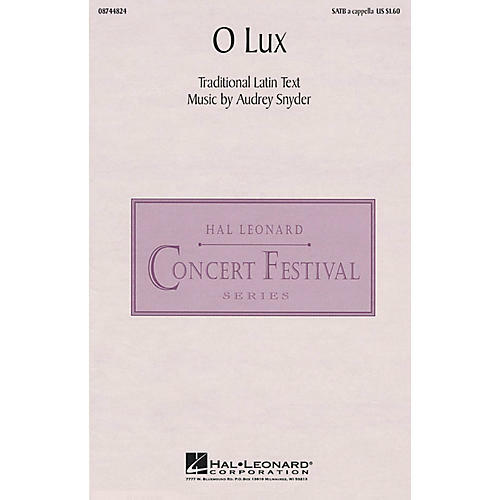 This expressive a cappella original by Audrey Snyder is perfect for contest and festival use. Excellent voice-leading makes this sound more difficult than it really is. An optional soprano solo completes this spellbinding work.Available separately: SATB. Performance Time: Approx. 1:45.